LIVE Q & A WITH PAUL DRAPER ON FACEBOOK LIVE TOMORROW – SUBMIT YOUR QUESTIONS NOW! Former Mansun frontman Paul Draper will be doing a Q & A session for fans on Tuesday 8th August as part of the London Playthrough Event at which his debut solo album, ‘Spooky Action’, will be played for the first time. 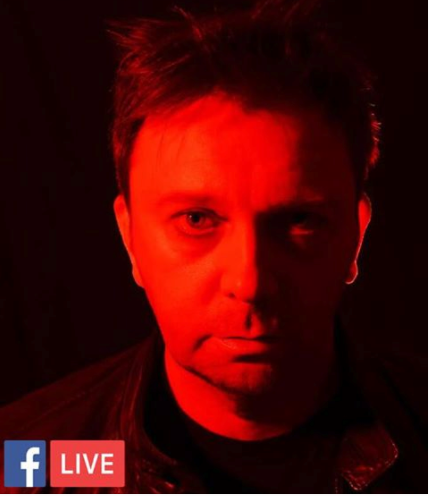 If you are not able to attend the event in person you will be able to watch a Live Stream of the Q & A which will be followed by the playing of a new track from ‘Spooky Action’ on Facebook Live. The live stream of the Q & A will start at 9:25 pm. To watch the Q & A and to send in questions for Paul, go to Paul’s Facebook page at https://www.facebook.com/pauldraperofficial/ .